Do you have a full time job? Finances in good shape (not currently bankrupt or credit impaired)? Want a Harley but don’t want to use up your savings? If yes, then Best Loans can help you finance the king of motorcycles and get you into the saddle fast. In Australia, Harley Davidson “official” Finance is provided only by Capital Finance (Australian Credit Licence No 393031). However, Capital Finance is just one of 21 different lenders we use to provide loans to our customers. With our large panel of lenders, we have multiple choices for your Harley – not just 1 lender, which gives you a LOT of flexibility and ensures you end up with the best loan no matter what. It only takes 5 mins on the phone with one of our specialist Loan Analysts for them to collect all the information they need to find the best Harley loan for YOUR circumstances. Loans for new & used Harleys. No deposit to approved purchasers. Specialised insurance for bikes & helmets. 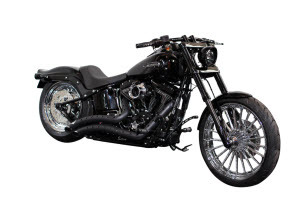 To get a free loan quote for a Harley, just complete the short form and one of our specialist Loan Analysts will call you back within 1 business day (usually the same day) to discuss financing your new Harley Davidson motorbike!